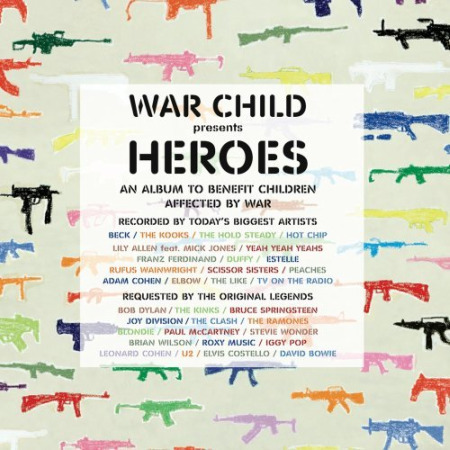 From their website, “War Child: Heroes is an unprecedented collaboration between musics most heralded legends and the finest current artists.” War Child asked 15 artists and bands (including U2, Brian Wilson, Joy Division, David Bowie, Bruce Springsteen) to select a song from their back catalogue and to nominate the a new act (including TV On The Radio, Duffy, Elbow, Yeah Yeah Yeahs, Hot Chip, The Kooks) to create a unique interpretation of it. The album was released in the UK by Parlophone and internationally by EMI on February 16. Head here for more. Here’s the tracklist. I heard Beck‘s version of Bob Dylan‘s Leopard Skin Pill Box Hat leading out the Oscars the other night. Gotta say, even though its not his song, its a great piece; quite closer to a time when I was a bigger Beck fan.